Yesterday was National Marquette Day and for those of you who aren’t familiar with NMD, it is a day, randomly selected by Marquette to celebrate the University and more importantly, the basketball team. 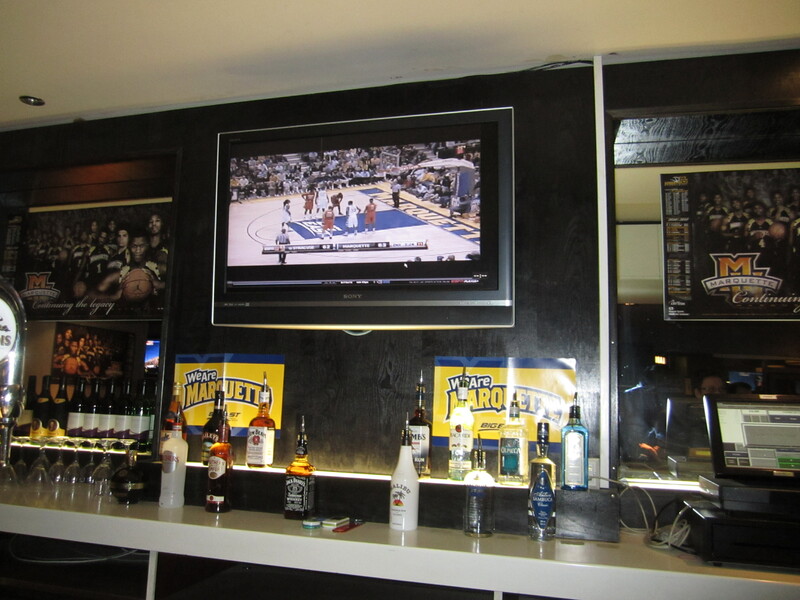 Alumni all around the country gather together at bars to watch Marquette play (and usually lose) all the while fraternizing and what not. Basically, it’s a national pep rally that the administration hopes will get people to donate more money. Well now, this year the ante was upped. Remember the alum I had met with during my first week here? 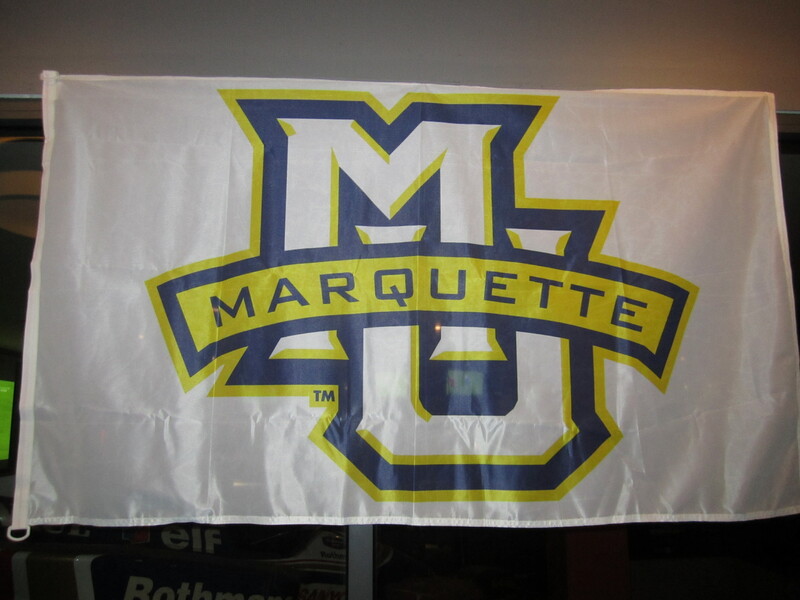 Well he organized a little get together to officially make it INTERnational Marquette Day. 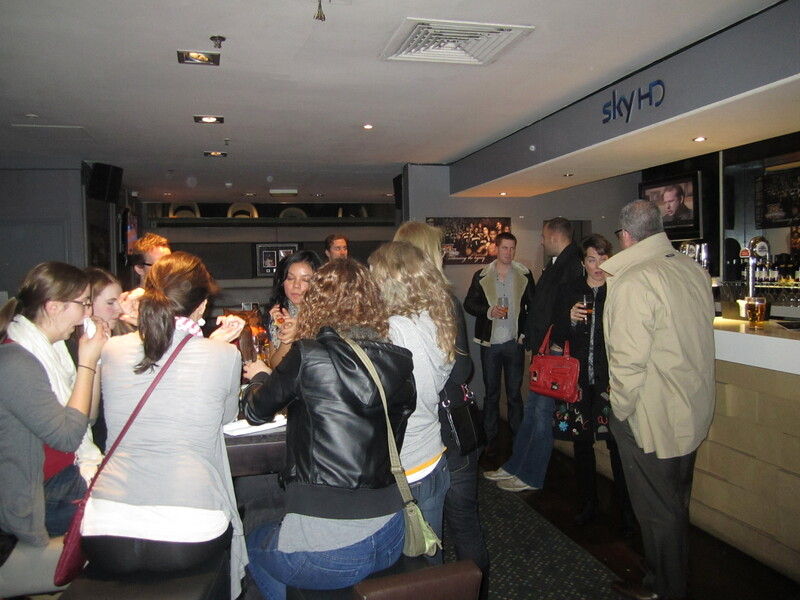 There were about 18 of us that ended up making it to the Sports Cafe, an American bar that shows American sports. I got there a little early so I was able to catch the end of the Manchester United soccer game and more importantly see my favorite player, Chicharito, score the game winning goal. In the end Marquette pulled out a big victory over #10 Syracuse, snapping a two game losing streak and making a good night great. It doesn’t matter where I’m at, a Golden Eagle victory can’t be beat.